What makes a goggle mountain-bike specific? 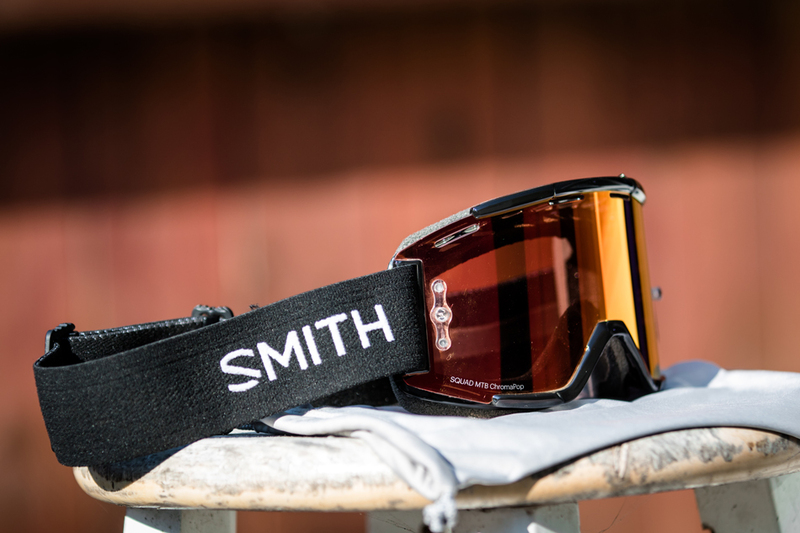 When it comes to Smith’s Squad goggles, the frame is constructed from a slightly softer and more flexible plastic, and the foam layer around the lens is stripped away to improve ventilation. Also, the Squads’ fit has been tuned to play nice with both full-face and cross-country-style helmets. The Squads are available with three lens options: ChromaPop Contrast Rose Flash, Everyday ChromaPop Red Mirror, and clear. The lenses are intentionally massive for a broad field of view, accept both roll-offs and tear-offs and are internally coated with an anti-fog treatment. ChromaPop is designed to provide more detail by enhancing visual clarity, providing greater definition and revealing more natural colors in the terrain. Smith says these enhancements are accomplished by filtering light at two specific wavelengths which are confusing for the brain. Eliminating this color confusion apparently provides a sharper and faster visual perception. This sounds promising on paper, but I had my doubts about how noticeable it would be while scouting for lines at speed. My Squads conveniently arrived the day before I was leaving for a weekend of downhill runs in Tahoe. I knew they featured a new lens technology, but intentionally didn't digest all of the details so my initial opinion wouldn't be influenced. My plan was to swap goggles between runs with my all-time favorite model to date, Oakley's Airbrake MX, and compare the two. The Airbrake has been out for a few years, but I've yet to find a dirt-specific goggle that's in the same league in terms of field of view and ease of changing lenses. I can't say I've given much thought to weight differences between styles or brands of goggles, but the Squads feel light when on your face. From the first run in the piercing Tahoe sun, the Everyday Red Mirror lens provided noticeably crisp detail. 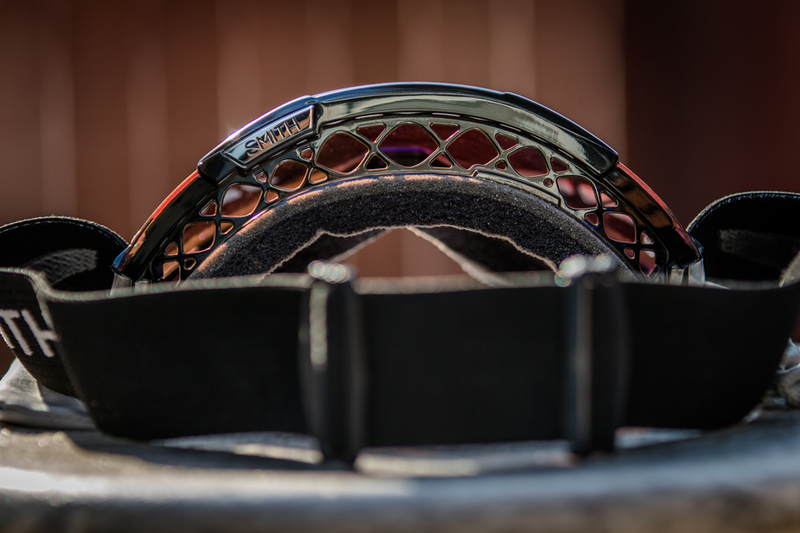 Whether zipping through shadowy tree sections or brightly lit terrain, the enhanced clarity helped define edges of rocks, roots, and sneaky braking holes. 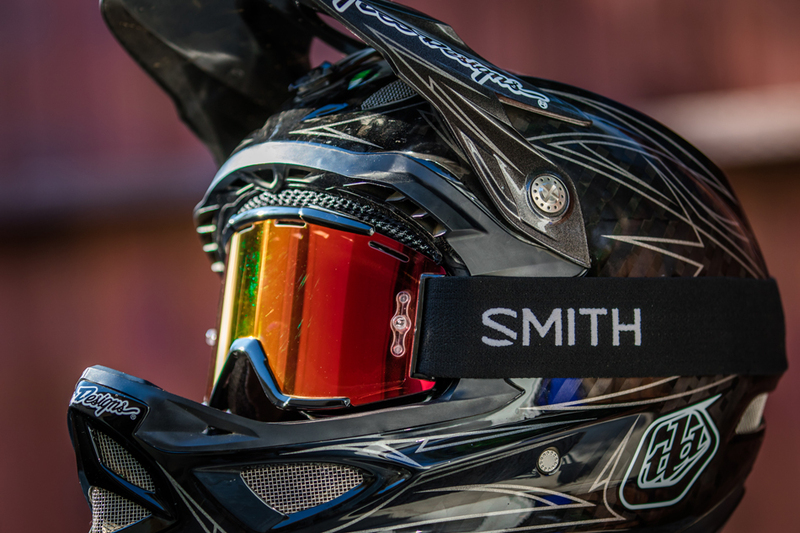 As expected, the Squad goggles fit fine with both my Troy Lee D3 full-face helmet and Smith Forefront cross-country lid. I found the Squads’ large field of view to be in-touch with that of the Airbrakes, and swapping lenses is as simple as popping the current lens up and out of the frame and snapping a new one in place. I didn’t experience any fogging in temperatures down to 30 degrees, nor did I have any issues while pedaling and breathing hard. The open frame that helps them ventilate so well may be an issue on muddy days–the jury is still out on that. The Squads’ impressive ventilation and enhanced detail will certainly appeal to both the downhill and enduro crowds, and for only $85 they don’t break the bank, either.